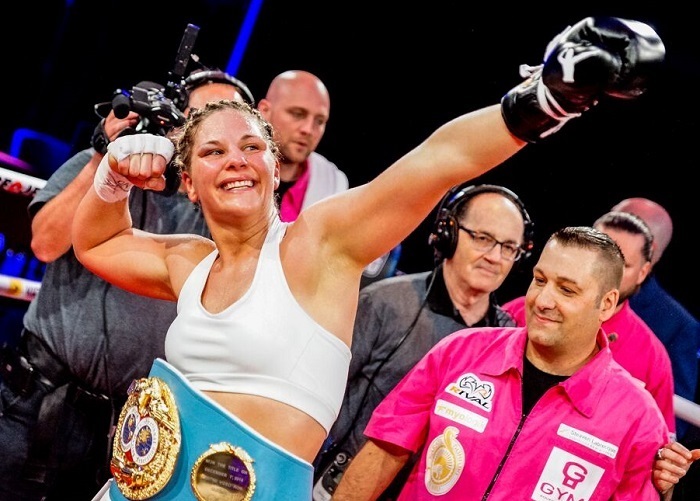 This past weekend was a huge one for women’s boxing, a sport growing in appeal at the same time that its top competitors appear to be elevating their skills and achievements. On Saturday night Claressa Shields and Christina Hammer attracted a respectable crowd to Boardwalk Hall in Atlantic City for their much-hyped showdown involving some half dozen middleweight title belts, with Shields outclassing her opponent and taking a unanimous decision. An aggressive Lauren had her moments. 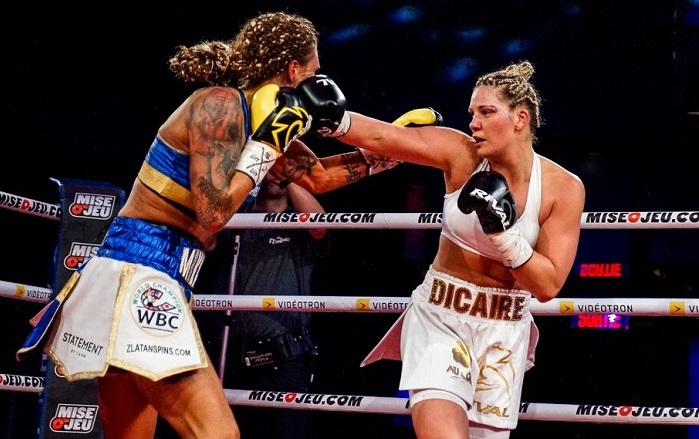 Meanwhile, north of the border, Quebec’s home-grown fight talent Marie-Eve Dicaire successfully defended her IBF super-welterweight title against Sweden’s Mikaela Lauren, a fighter who not long ago had challenged current welterweight champion Cecilia Braekhus. Lauren had made an impression before that match in 2017 when during a staredown with Braekhus she leaned in and gave the champ a juicy kiss right on the lips. If Lauren had hoped the gesture might soften up Braekhus those hopes were dashed when some nasty uppercuts and hooks put her down and prompted the referee to end her title bid in round seven. 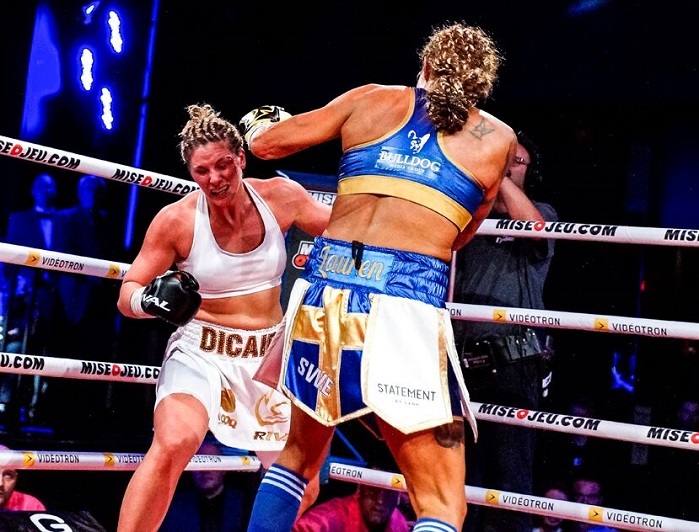 Lauren had rebounded with two wins in 2018 and thus was in position to get a chance at Dicaire’s title, but at 43 years of age few were picking her to bestow on the Terrebonne fighter her first pro defeat. Still, this match represented a test of sorts for Dicaire: how would she fare against a far more experienced and battle-tested opponent? 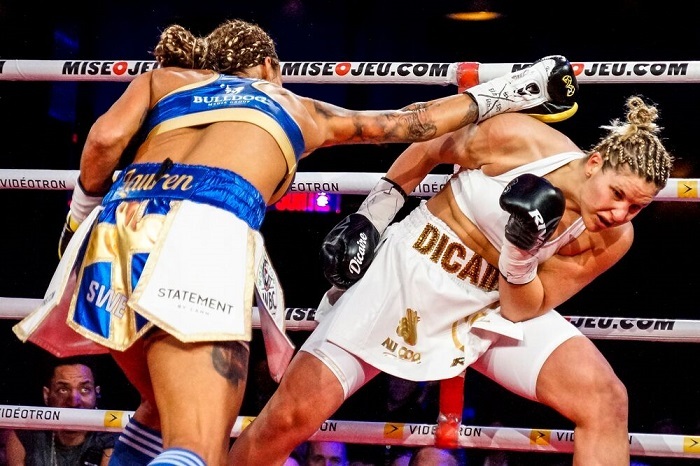 But if Dicaire vs Lauren was a test it was one the hometown fighter was ready for as she passed it with room to spare, despite Lauren’s best efforts and a cut over the champion’s left eye. The three judges scored the match for Dicaire by margins of four, six and eight points. But that’s not to say Lauren didn’t have her moments or that the fans at the Montreal Casino were not treated to a lively scrap. 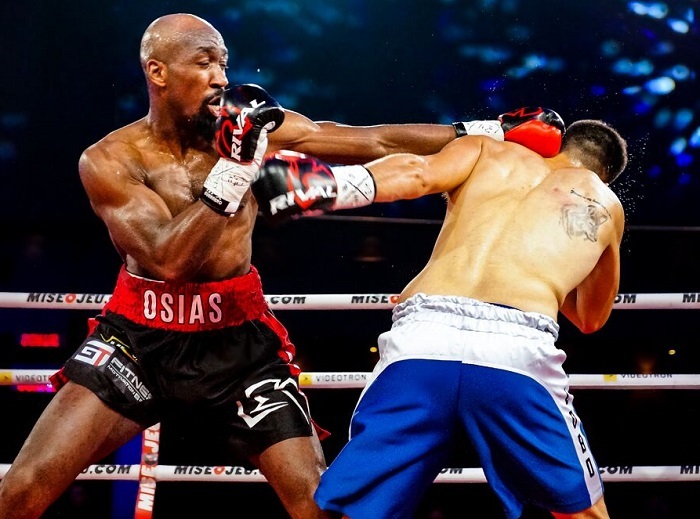 The Swede imposed serious pressure at different junctures in the match and appeared to steal some of Dicaire’s momentum in the middle rounds with constant aggression and some solid blows. But Dicaire regrouped and swept the last three rounds with smart movement, a sharp jab and the quicker hands to leave no doubt she was the superior boxer on the night. A bloodied Dicaire was forced to rumble. 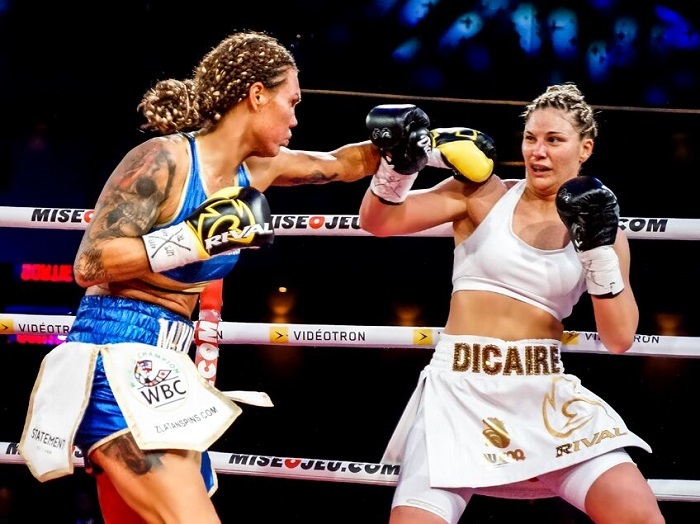 It was the kind of performance which can only make Quebec boxing fans anxious to see Marie-Eve in action again soon, but no decisions about her next bout can be made before that cut fully heals. For now she can savour this victory, the most significant of her career so far. With the win she is 15-0 and high-profile showdowns with people like Braekhus or Shields can now be seriously considered for the not-too-distant future. Now 15-0, Dicaire has notched the biggest win of her career. 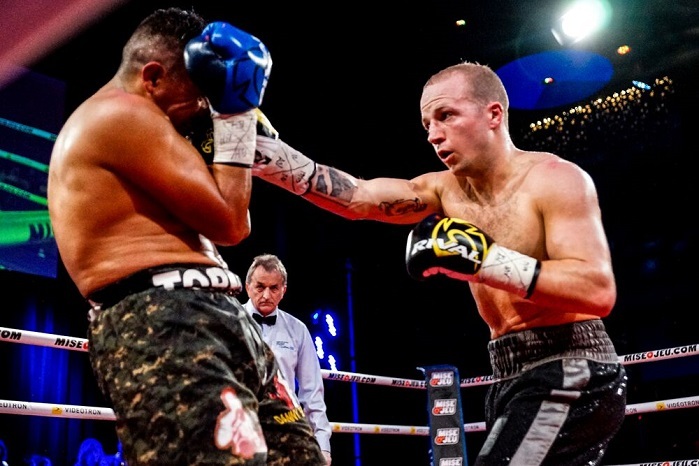 On the undercard, super lightweight David Théroux improved to 16-3 after a points win over Mexico’s Juan Daniel Bedolla Orozco (19-10-2) while undefeated light heavyweight Terry Osias improved to 8-0 with a sixth round stoppage of Juan Cruz Correa (4-2-1). 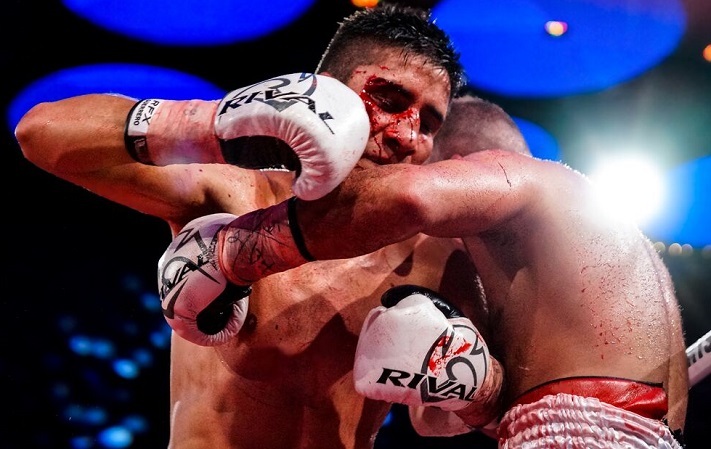 Prospect Mazlum Akdeniz was in tough against José Guillermo Garcia (9-6-1) and had to settle for a points win in a gritty and bloody battle. 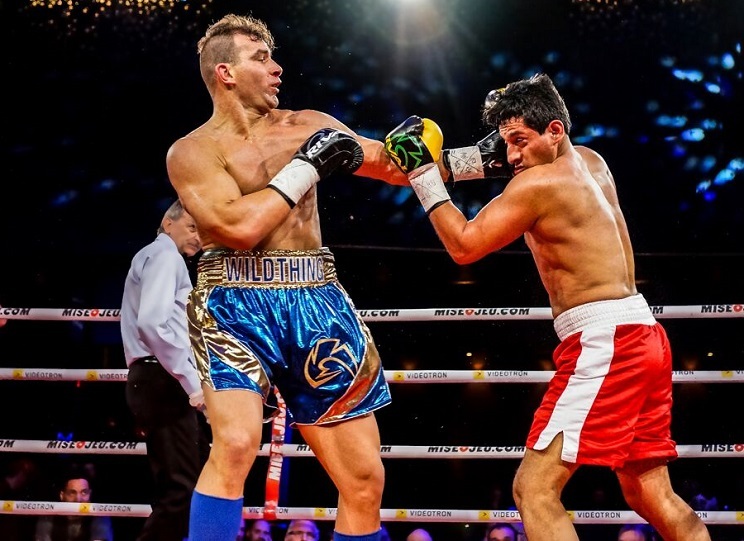 This was a perfect experience-building match for the young super lightweight from Kurdistan. Theroux posted his third win in four months. Osias is a rising force at 175. 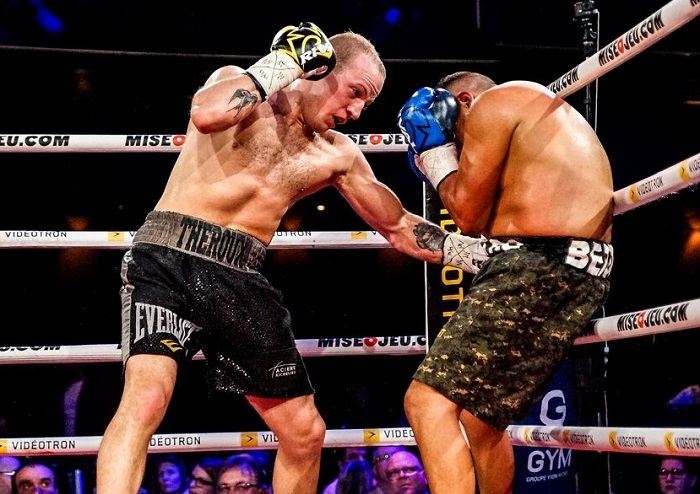 Pellerin got his second win of the 2019 campaign. 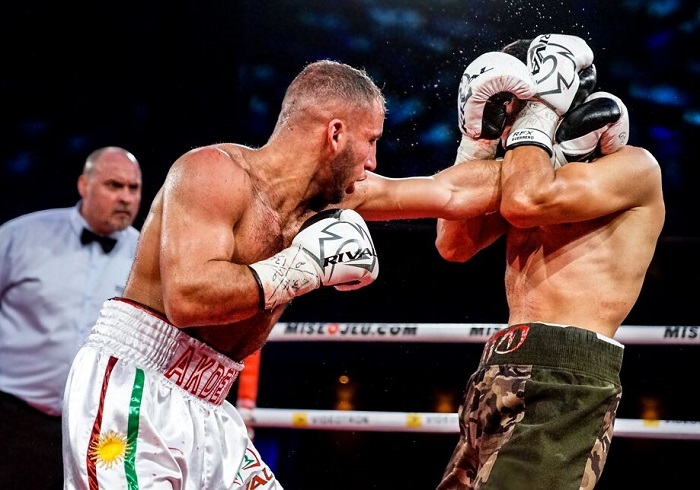 Akdeniz had to work for his win against Garcia. Akdeniz vs Garcia was a bloody good battle.